But a quick getaway leads to a terrible time! 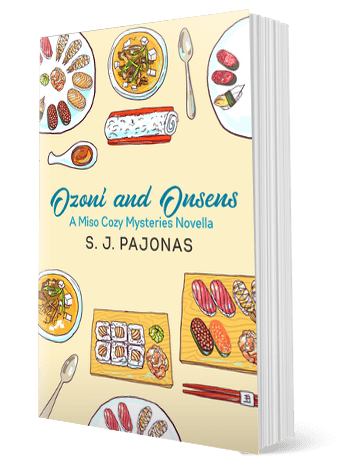 For fans of the Miso Cozy Mysteries series! Perfect to read after THE DAYDREAMER DETECTIVE BRAVES THE WINTER, Mei and Yasahiro attempt to spend New Year’s Eve on vacation, but the universe has other plans for them. Follow them to Hakone where they learn there’s nothing more important than family. 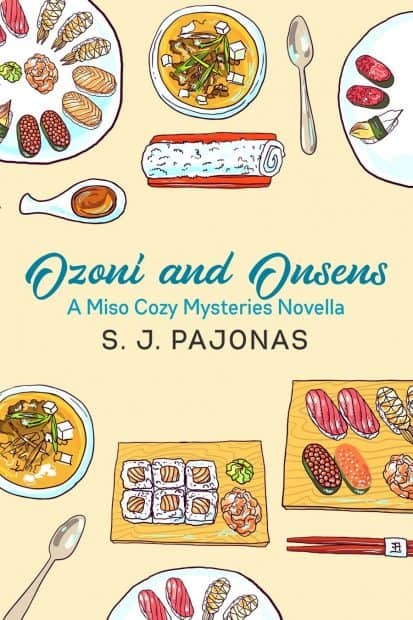 OZONI AND ONSENS is the satisfying side dish to the Miso Cozy series of cozy mystery novels. Originally only for newsletter subscribers, this novella is now available for all! Though not a traditional mystery, you’ll learn more about what happened between Braves The Winter and Opens A Tea Shop and why this trip cements Mei’s love for her family.